Truck Covers USA, Manufacturer of The Finest Roll Covers, Toolboxes & Accessories on Earth, has recently joined forces with Meyer Distributing, our first WD partnership in history. Over the years, we have heard time and time again that our dealer network would like the option to purchase through a WD and/or have product at their door in less time. You spoke and we listened. You now have this option available. Serving you earns us your continued business. Quality products and excellent customer service has always been the standard here at Truck Covers USA. We are very confident in the service offered by Meyer Distributing and their experienced and knowledgeable staff, hence our choice in them as a WD. They make the perfect branch of our original tree. We will continue to strive for excellence and your feedback, as always, is extremely valuable to us. If you have any questions or comments in this regard or with respect to any of our products, please contact us. 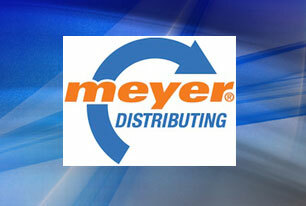 Join us in welcoming Meyer Distributing to the Truck Covers USA family tree!